The Holiday Inn Express brand is the smart choice for travellers, created with the philosophy of including everything a guest needs and nothing they don’t. The 14-storey newly-built hotel is home to 249 rooms and features extensive views overlooking greater Suwon. After a great night’s rest, guests can experience the brand’s signature dining area, Great Room, with a free Express Start breakfast. Alternatively, guests can take their breakfast on the move thanks to the hotel’s Grab & Go breakfast offering. 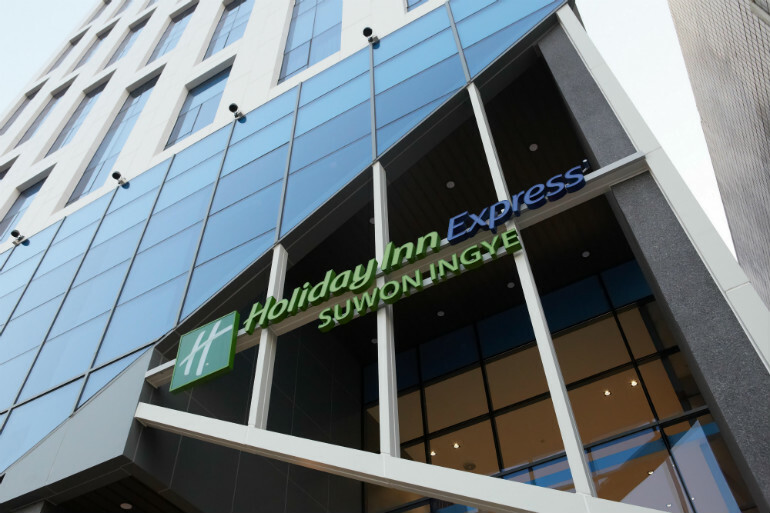 “Holiday Inn Express is one of our fastest growing hotels – providing a smarter travel experience to those who rest-and-go. Today’s opening marks our first in Suwon and adds to our IHG portfolio of nine hotels in South Korea,” he added. With a business and leisure focus, the hotel fills a gap in the accommodation sector in the vibrant district of Ingye. With large conglomerates located close by, along with an array of tourist attractions just a short distance away, the hotel is centrally located and acts as the perfect base for guests. A 24-hour gymnasium allows guests to maintain their fitness routine, offering a variety of machines in a large sun-lit studio, while when business calls, a dedicated meeting room is available and can seat up to 20 people (boardroom configuration). A coin-operated laundry room is also onsite, as well as undercover secure parking. This entry was posted in Hospitality, Hotels, Travel, Travel Management, Travel Services, Travelers and tagged HG, Holiday Inn Express Suwon Ingye, South Korea. Bookmark the permalink.